Ships tomorrow if you order in the next 16 hours 8 minutes. 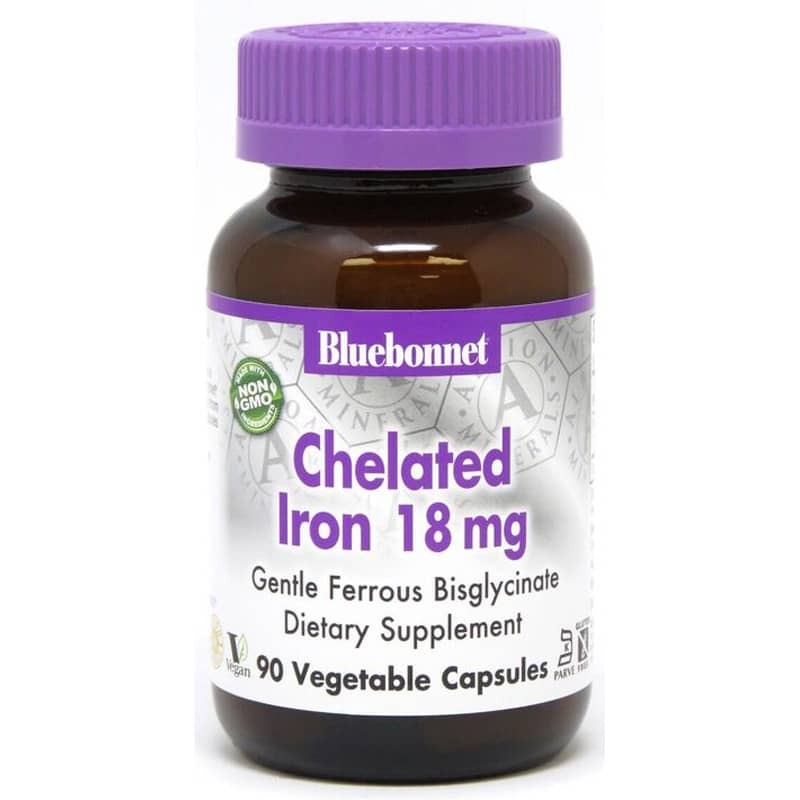 Albion Chelated Iron from Bluebonnet is a dietary supplement that supports increasing iron stores in the body to normal levels. One of the most abundant metals on Earth, iron is also essential to most life forms and to normal human physiology. It is essential for transporting oxygen around our bodies, as well as for cell growth. When we do not have enough iron, we do not get enough oxygen around our body, producing fatigue, poor work performance, and decreased immunity. Even so, the World Health Organization describes iron deficiency as the most common and widespread nutritional disorder in the world. It says two billion people, over 30% of the worlds population, have anemia, many due to iron deficiency. Albion Chelated Iron 18 mg Vcaps provide a gentle, non-constipating amino acid chelated form of iron that will not cause abdominal distress, in an easy-to-swallow vegetable capsules for maximum assimilation and absorption. Contains NO: milk, egg, fish, crustacean shellfish, tree nuts, peanuts, wheat and soybeans. Also free of corn, yeast, gluten, barley, sodium and sugar. 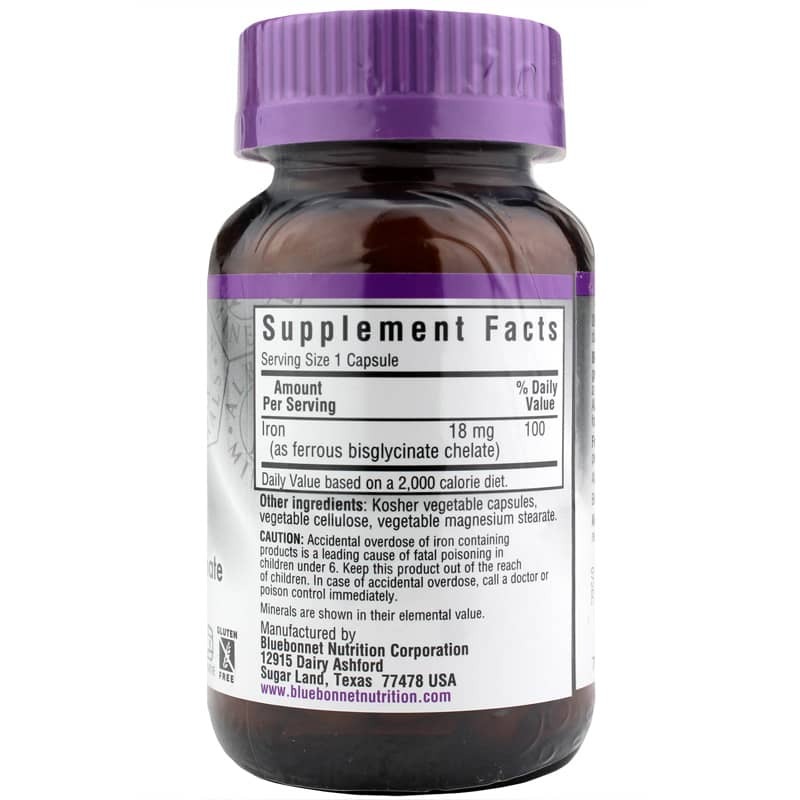 Adults: As a dietary supplement, take one capsule daily or as recommended by a healthcare professional.